Everyone seems to have a favorite seashell. For me, not so much; I love them all! However, when it comes to creating seashell art, the Spiny Jewel Box is definitely at the top of my list. 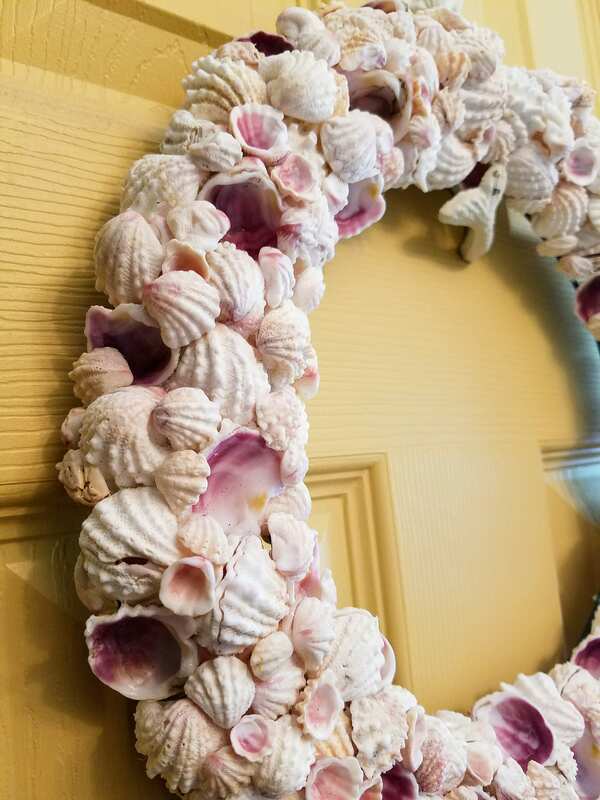 Hundreds of Jewel Boxes in a wide range of shapes and sizes, artfully joined together to create an extraordinary seashell wreath. Some weathered, others; perfectly, defined. Rare specimens have both sides intact, others turned inside out, exposing their signature, pearly purple, inner glow. An excellent example of art paying homage to a single, seashell species capturing it's unique essence, unparalleled in every way. 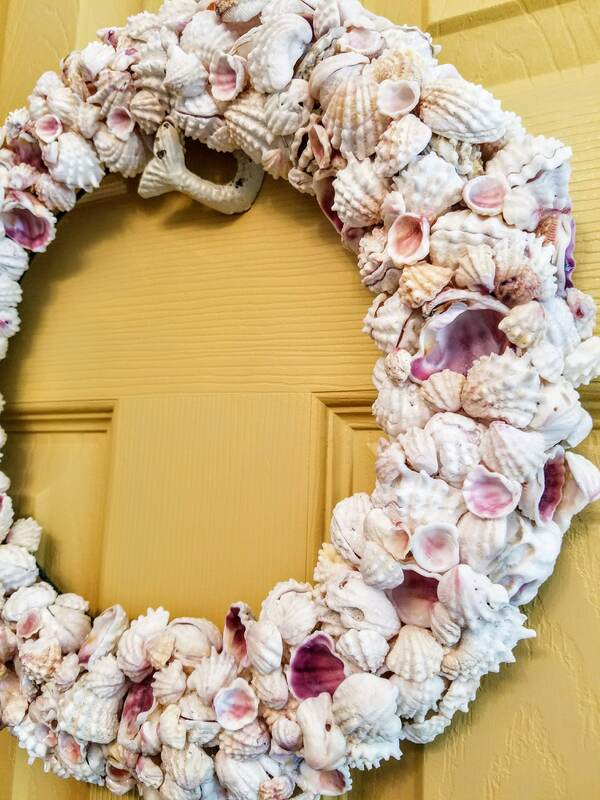 Each shell has been personally collected from my private, barrier island beach. Approximately 13" in diameter, the sturdy wire frame is completely encased on 3 sides; characteristic of my 3 dimensional, signature work. Predominant, natural white color scheme, with hints of ivory, beige, pink and of course, the pearly purple inner sides, integrated throughout. Perfect for practically any design theme; particularly, beachy shabby chic, but not limited in any way. 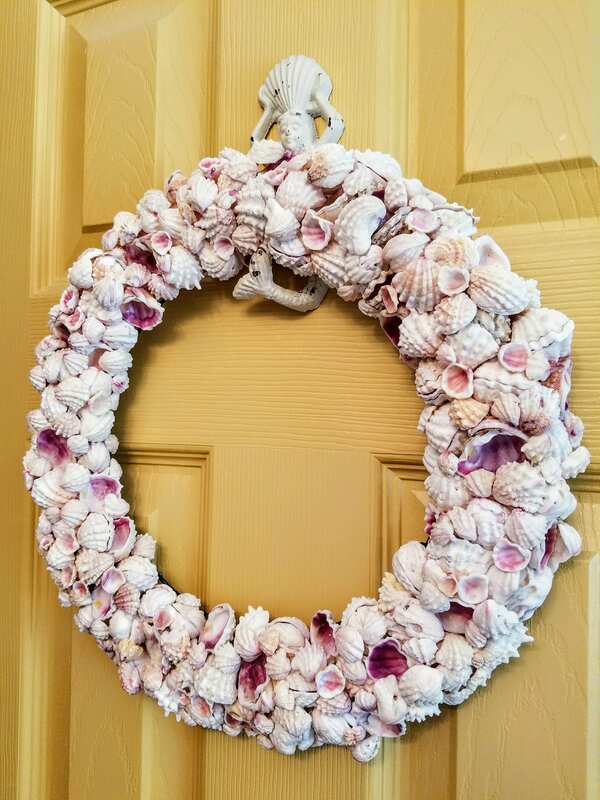 Additionally, an ideal gift for a beach themed wedding, or beach wedding decor. A must have addition to any discerning, collector of seashell fine art. 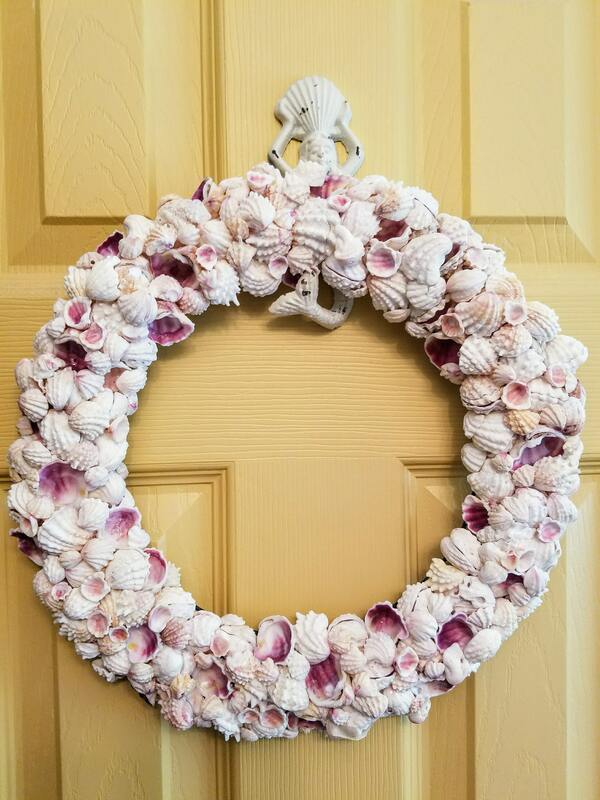 This wreath design can be customized larger or smaller to suit your preferences and price adjustments accordingly. 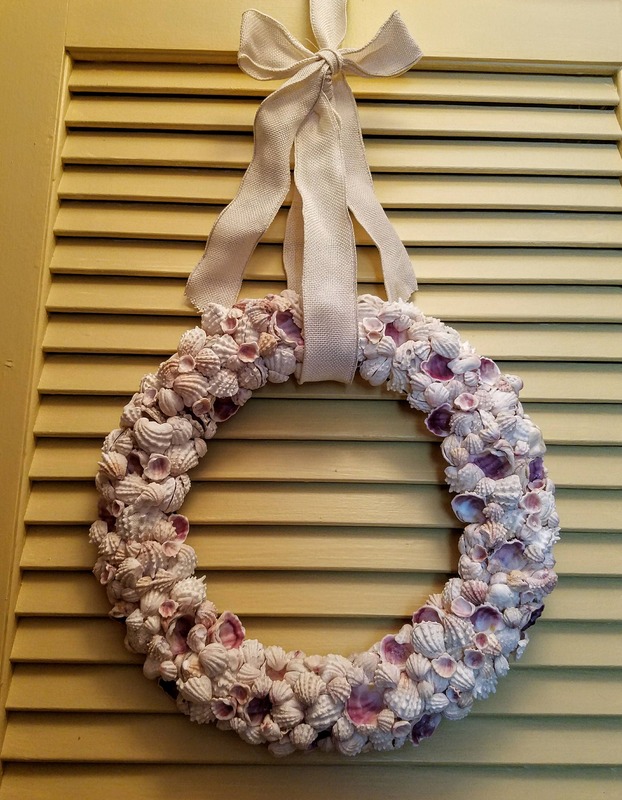 This exact wreath is available for immediate sale.